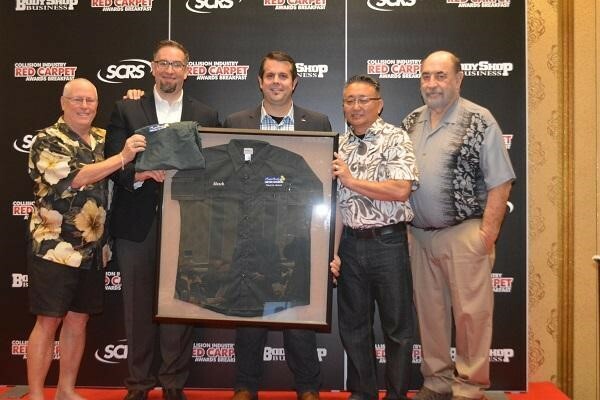 The Society of Collision Repair Specialists on Thursday invited the industry to its second annual Collision Industry Red Carpet Awards Breakfast during SEMA Week. Hosted with support by fellow presenters Automotive Management Institute and BodyShop Business, the event will feature some of the most prestigious awards and recognitions from industry organizations that highlight standout individuals and businesses in the collision repair industry. The free event will be held from 7:30-9:30 a.m., Wednesday, Oct. 31, in Westgate Las Vegas Ballrooms D-E. Seating for the 200 seats is first come, first served. The Collision Industry Red Carpet Awards Breakfast places a priority on encouraging and recognizing greatness in individuals, companies and actions in the collision repair industry, and the excitement and energy of the SEMA Show provide the perfect backdrop for such distinguished presentations. AMI will present the AMI Graduating Class of 2018, and BodyShop Business will crown Executives of the Year in the independent and MSO categories. SCRS will present the March Taylor Kina’ole Award. Other presenters include the Collision Industry Electronic Commerce Association, which will bestow its Outstanding Achievement awards and the Electronic Commerce of the Year Award; I-CAR, scheduled to name its Chairman’s, Jeff Silver and Russ Verona Memorial Award winners for 2018; and the National Auto Body Council, which will honor the recipients of its Award of Distinction and Body Shop Image Award categories.